If you’re always coming home a hothead from the woes of the daily commute, or constantly complaining about your house help, or are bogged down by work and are feeling severely obliterated by life, you’re probably in need of a major energy shift. Feeding yourself and your home a constant stream with of negativity can charge your environment with a similarly damaging vibe. 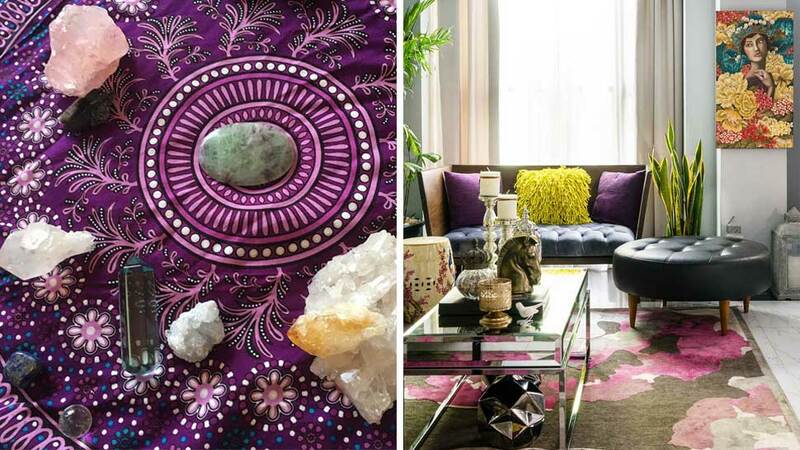 Whether or not you believe in the mystical, new age aspect of creating a positively charged space, or are just in the mood for a home makeover to uplift your spirits, what’s important in clearing your home of negative energy is your intention. If you set out to improve, do better, and blast the bad vibes away, slight shifts in your mood and the space that surrounds you can and will happen. Stock up your arsenal with these ten tools for positivity and let your mood lighten up. Its benefits are yet to be scientifically proven, but this popular home accessory is lit to release negative salt ions, which can positively affect blood flow, sleep, and calm allergies. At the end of the day, you’ve got a soft pink glow to light up your bedroom—still pretty cool, even for the non-believers. This tree, known for its mystical powers, originates from South America and is known for its woody, aromatic scent. Used by indigenous people to help ward off evil spirits, and bad luck, it is lit and smoked for purifying and cleansing rituals as well. 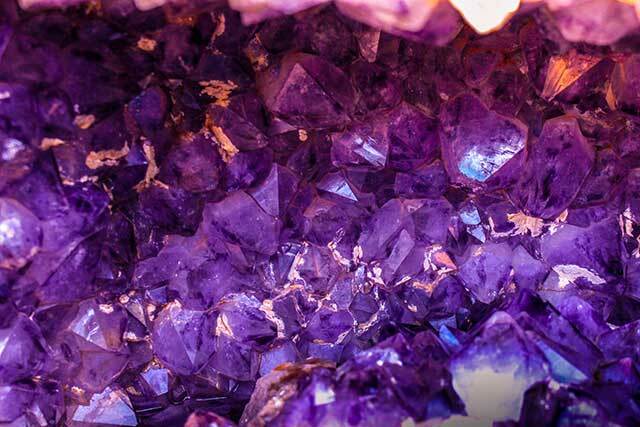 Different crystals are known for their individual characteristics, some of which help protect you from negative vibes, keep you calm, and even amplify your energy. 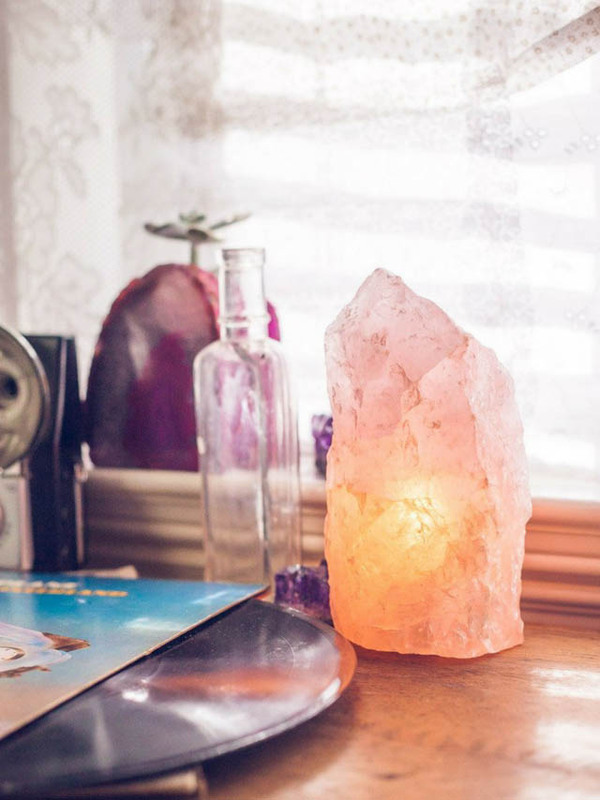 Whether you get your clear quartz (a good healer for energy blocks), tourmaline (for protection and grounding), citrine (optimism, warmth and clarity), aquamarine (stress reduction and quieting of the mind) as polished tumble stones, points or massive chunks, combining crystals with different healing properties can set the tone for your space. And again, if you don’t actually believe these stones carry power, they still add some pretty vibes to your home. You can buy crystals from The Crystal Rose Room. Altars don’t have to be about worshipping deities or doing anything sacrilegious. 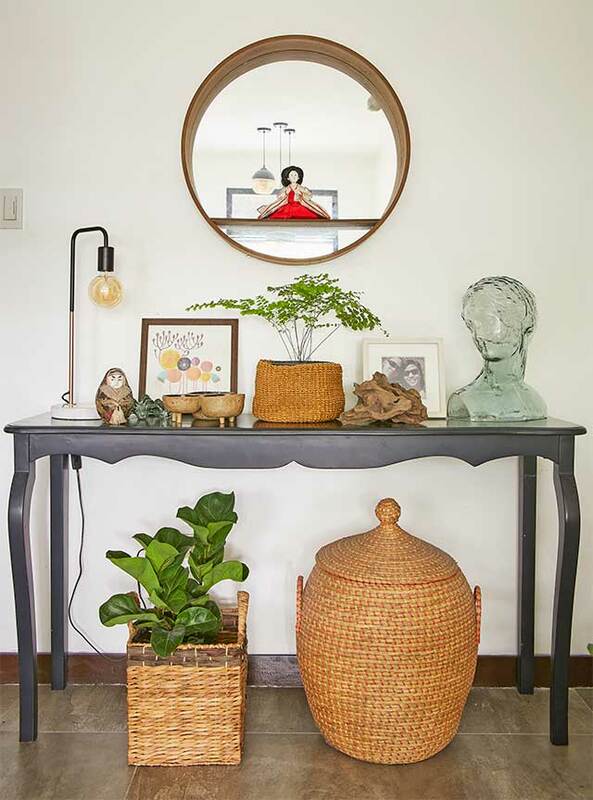 A small tabletop where you intentionally choose items that bring you happiness and spark joy can be your version of an altar. Think of assembling some knickknacks you got from a memorable trip, a lovely room spray that makes you feel better, some postcards of places you want to visit—that little vignette is enough to inspire a mood and set you one step closer to manifesting what you want. The Native Americans practice smudging, which is a ceremony that involves burning dried herbs and letting the smoke float. The purpose of a smudging ritual is to separate yourself from the outside world to step into a sacred space. When you’re in a bad mood, the simple ritual of burning a sage stick puts an intangible demarcation between the good vibes and the fact that just had a really bad day. You can order sage sticks from The Crystal Rose Room. 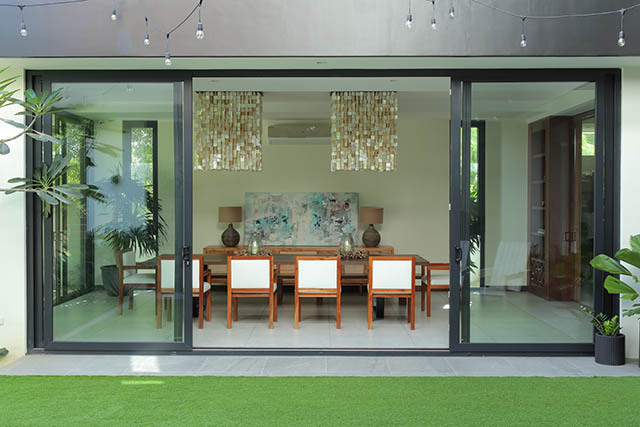 Not only do greens brighten up a space and make it look more livable, they are also said to absorb negative energy. Reconnecting to nature in any way—stepping on the earth, or lying down on the grass—helps us remember to stay present and to separate our own emotions from the highs and lows of everyday life. 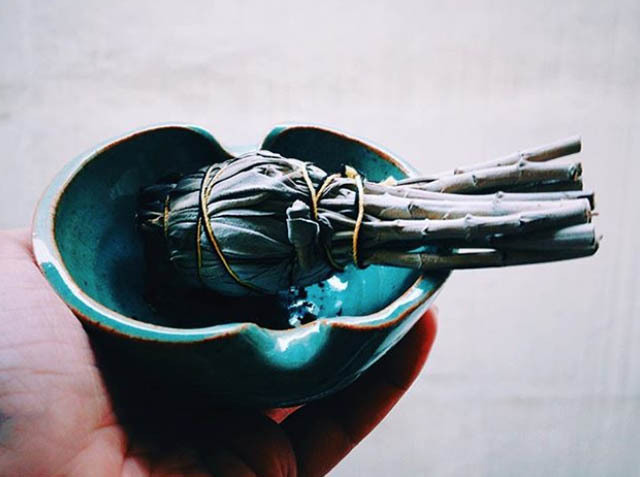 Another element that is used to “purify” us, sea salt is an accessible ingredient we can introduce to the home to help us cleanse ourselves of bad juju. Whether you use your salt to scrub off the negative energy from your skin, or use it for a calming, warm bath soak, it is another natural remedy that helps us reconnect to the earth. Stuffy rooms can instantly feel suffocating—exactly how it feels to be stymied by the negative energy a bad day can bring. Suffer an hour or two of no AC and open the windows, allowing fresh air to stream through and cleanse your space. You may or may not believe in this traditional Chinese practice, but a lot of the furniture placement and recommendations heralded by Feng Shui make sense in the modern day. When you’re feeling that your life is going stale, you can find peace in reorganization and de-cluttering after all. 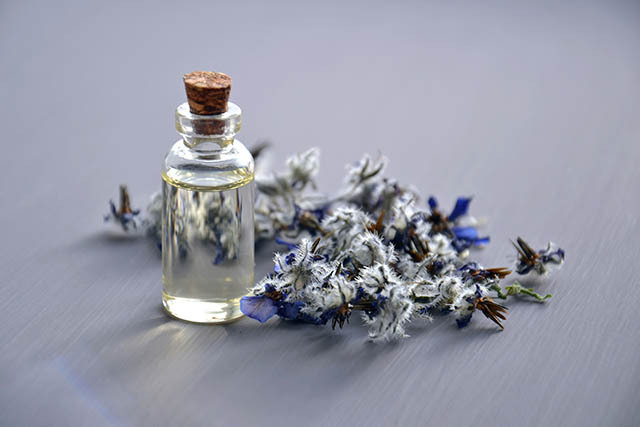 Aromatherapy can dramatically affect one’s mood and calm you down after a hassle-filled day. Turn up your diffuser and create your own essential oil concoctions to ward off the stench of negativity.